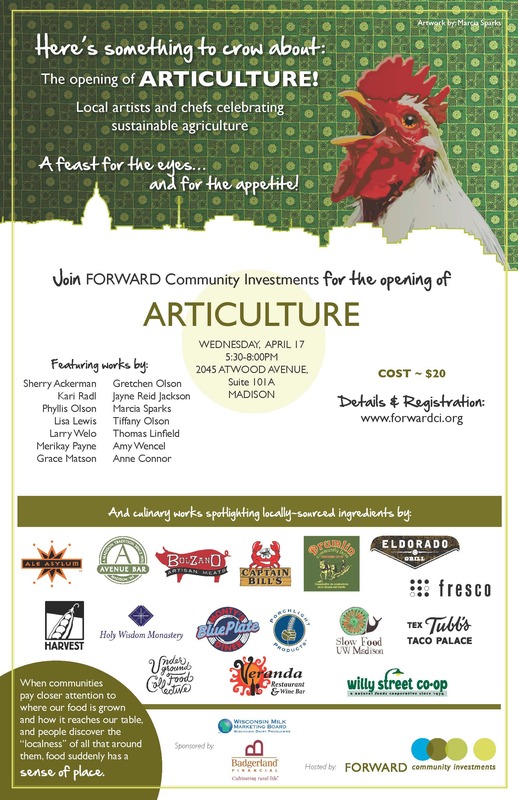 Forward Community Investments is hosting an event Wednesday, April 17th 2013 from 5:30-8 PM called Articulture: A Feast for the Eyes and the Appetite. The event will feature local artists and purveyors of delicious food and drink. The cost is $20 per person.